Nestled in the foothills of the Bitterroot Mountains of Montana is a unique organization. Sporting goods stores, bars, taxidermy shops, gas stations – Montanans expect to find these things. But a business grounded in knowledge gained from an in-depth study of Tibetan Buddhist traditions and focused on teaching Classical Tibetan to Western students? This falls a bit outside the realm of the expected. 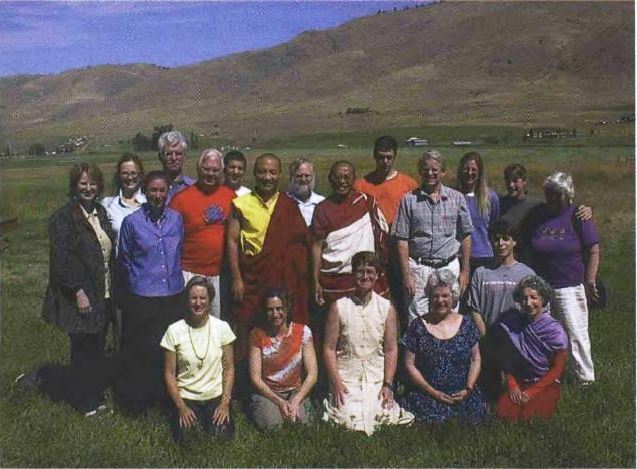 Yet Montana is a good home in many ways for the Tibetan Language Institute (TLI). The mountain landscape mirrors that of Tibet, and the tranquility is conducive to study. Right outside the door of the office wild turkeys gobble in response to every rumble of a summer thunderstorm; hummingbirds mine the blossoms that surround the office in the spring and summer.